This is a recipe straight from one of the best patisseries in Athens. I was fortunate enough to have been classmates with the owner’s daughter (named Zaharoula which means Sugar) and *steal* this recipe for everyone to enjoy. Line a 12-hole fairy cake tin with paper cases. Melt the chocolate, golden syrup and butter in a bowl set over a pan of gently simmering water, (do not let the base of the bowl touch the water). Stir the mixture until smooth. Remove the bowl from the heat and gently stir in the cornflakes until all of the cereal is coated in the chocolate. Divide the mixture between the paper cases and press 3 chocolate eggs into the centre of each nest. Chill in the fridge for 1 hour, or until completely set. Enjoy and have a nice Easter Sunday! Imagine you live in a prosperous country, with a lovely climate, beautiful beaches, blue seas. But there’s something funny about this country. It doesn’t have a functioning banking system. You can put money into your bank, but you can’t get it out again. At least you can, through ATMs, but only in very small amounts. If you have money on deposit, you can’t take the money out and close the account. And if it’s a time deposit, when it reaches the end of its life, you can’t have the money to spend. You have to roll it over into a new deposit. You can’t cash a cheque in a high street bank. You can’t pay bills in a high street bank, either. And no high street bank is lending any money, so if you want a loan, forget it. In fact high street banks are not much use. Your employer pays you in cash, because there are no electronic payments. Which is just as well, really, because you need cash. There are no automated payments such as direct debits, so you pay all your household bills in cash. Credit and debit cards are no longer accepted anywhere, so you buy all your shopping and petrol for your car with cash. You can’t make phone or internet purchases. If you have more than one account, you can’t transfer money between your accounts. If only one of your accounts has ATM access, once that account is empty, you are stuck with no money. You can’t go on holiday abroad because you can’t take any money out of the country. Your employer won’t send you abroad on business, either, because you might not come back…..
All the local shopkeepers will only accept cash, not cheques. That’s because they have to pay suppliers in cash, and once you put money in a bank, you can’t get it out again…..But all small businesses are having a very hard time. Shops are closing, businesses going bust, people losing their jobs. You’re not sure how much longer you will keep yours. You’ve taken a pay cut already, even though it means you struggle to pay your mortgage. It would really help if lots of tourists would visit your beautiful sunny country. But the place is deserted. Tourists are unwilling to come here now….it’s very cheap, but they can only bring cash with them and whatever they bring must stay here – and if they run out of cash they can’t get any more. This is Cyprus. Or rather, it will be – next week. When full capital controls are imposed. When Cyprus is ring-fenced from the Euro area and its membership of the European Union is effectively suspended. So as people’s livelihoods are destroyed and their standard of living crashes, other measures may be introduced to ensure that they can’t take matters into their own hands. The IMF acknowledged in a paper a few months ago that capital controls can be helpful in crisis-hit economies. In Cyprus’s case, the immediate need for capital controls is to choke off bank runs when the banks reopen after the extended bank holiday. The trouble is that bank runs are not necessarily acute. As we have seen in other countries, notably Greece and Spain, bank runs can be silent and extended. Even in Cyprus, deposit flight started some time before the attempted depositor haircut last week that forced closure of the banks. It is difficult to see how, with a wrecked financial system and collapsing economy, capital controls can be lifted at all without setting off bank runs. As things are set to get much worse, probably including bank failure and sovereign default in the not too distant future, capital controls are likely to remain in place for a long time. Despite the IMF’s insistence that capital controls should be short-term, recent use of them has been anything but: Iceland has now had “temporary” capital controls for five years, and Argentina for ten (although that is probably for political reasons). Dismantling capital controls is not easy. But the Cyprus capital controls differ fundamentally from those imposed in theIceland banking crisis. Iceland is a sovereign state with its own currency. Cyprus is a member of a currency union – the Euro. And capital controls make a complete nonsense of currency union. Yes, the Eurogroup will claim that it is “business as usual” in the Euro area. Draghi will continue to claim that the Euro is “irreversible”. Eurostat will continue to produce statistics for E17 and E27 including Cyprus. But the reality will be that the Euro will be broken in two. There will be the Cyprus Euro, and the “mainland” Euro (if we can call it that). One of the interesting effects of capital controls is that the Cyprus Euro would be likely to depreciate against the mainland Euro – a de facto floating exchange rate. This might help to protect the Cypriot economy from the worst of the coming economic collapse. The ECB would of course enforce convertibility at par for any Euros that did manage to get in or out of the island, but as this traffic should be small, the purchasing power of the Cypriot Euro within Cyprus itself would be far more important. Cyprus would in effect have gained control of its own currency without the costs and risks of redenomination. But this is not as good as it sounds. There would be likely to be serious shortages of Euros in Cyprus once capital controls were in place. Currently the Cypriot central bank cannot print Euros: the Euros in circulation in Cyprus are printed in France and the Netherlands on behalf of the Cypriot central bank and transported to Cyprus. These Euros are printed in accordance with the ECB’s rules, which operate strict proportionality in relation to the size of the economy and overall Euro area money supply, but Cyprus’s need for cash will be much greater when there are no alternative methods of payment. I can’t see the ECB being particularly keen on expanding the physical money supply in Cyprus because of Cypriot capital controls. And because of the ban on electronic transactions in Euros, I would not be surprised to see e-currencies and mobile money becoming popular: they would be an effective way of avoiding capital controls. It is unclear exactly how the Government and central bank would respond to this, but remember that final clause in the capital controls bill: is a ban on private use and holdings of alternative currencies beyond the bounds of possibility? Or would they simply accept (gratefully) that use of alternative currencies relieves the pressure on the Cyprus Euro, enabling more economic activity than would otherwise be possible? Much depends, I suspect, on the pressure on public finances caused by the nowinevitable economic collapse. Declining tax take might encourage a desperate government to enforce use of the Euro, despite shortages, to help ensure that taxes can be collected. Using alternative currencies is of course a standard way of avoiding tax. Personally I think this would be a mistake: repressing alternative currencies would depress economic activity and slow down recovery. But as the Troika would be overseeing Cyprus’s public finances and enforcing the agreed austerity measures (and probably harsher ones too, once the debt/GDP ratio started to rise due to economic collapse), counterproductive repression of alternative currencies to increase short-term tax take seems likely. The fact that the ECB will still control the purse strings, and the Troika will still oversee public finances, may eventually make the shortage of Euros and the lack of control of monetary policy intolerable. If this were to happen, then Cyprus should formally break free. The fact that it cannot print Euros means that it would then have to redenominate, probably into Cyprus pounds at one-to-one par value with the Cyprus Euro. This is not a step to be undertaken lightly, though: it would mean that Cyprus’s public debt would then be denominated in a foreign currency. Some form of currency peg, perhaps to sterling, would in my view be necessary to prevent collapse of the new currency and disorderly debt default. I’m not at all sure this route should be followed yet. It may be that the fragmentation of the Euro caused by capital controls will give Cyprus sufficient protection to enable it to recover from this awful mess – if the Troika’s hamfistedness doesn’t scupper the whole thing anyway. So the nature of the Euro will be fundamentally changed by Cyprus’s capital controls. The single currency will exist in name only: the reality will be fragmentation. But it is not just the single currency that will be compromised. The isolation of Cyprus is clearly in breach of the founding principles of the European Union. It is unclear whether the capital controls are legal: Article 63 says they are not, but Article 65 1b and 2 suggests they may be. I leave that to the lawyers: I am more interested in the principles. The European Union was founded on “four freedoms”: free movement of goods, free movement of services, free movement of capital and free movement of people. Capital controls are direct prevention of free movement of capital. In fact it is worse than that, because strict capital controls also severely curtail free movement of goods and services and free movement of people – the other founding principles. Will other countries want to trade with Cyprus, if it is difficult to get money out of the island? How can anything other than subsistence-level trade within the island operate, if payments can only be made in cash? How can people move in and out of Cyprus, if they can’t take any money with them? Indeed, how can any of these freedoms be said to operate in a country with capital controls as tight as those now signed into law in Cyprus? In effect, Cyprus is no longer a full member of the European Union. And this sets a dangerous precedent. The Troika’s mishandling of the Greek crisis and the ensuing contagion to Cyprus has fundamentally weakened the European project. If it can bully one state into imposing capital controls in clear breach of the principles of the European Union, and in so doing destroy the integrity of the single currency, then it can do it to others. And this is on top of the damage already caused by the disastrous attempt to impose losses on small depositors in Cyprus, and the imposition of highly damaging “deficit reduction” programmes against the will of the people in a number of states including Cyprus. The Troika has already demonstrated that it will sacrifice democracy in the cause of the European project. But now it shows that it will sacrifice the very principles of that project to maintain the sham of unity. How much longer before the whole thing unravels? Today (March 21), beginning at sundown, is the 10 Elaphebolion, and thus, brings us the first day of the feastival of the City Dionysia which lasts for eight days. The Dionysia was celebrated in honor of the god Dionysus Eleuthereus (god of freedom) and included competitive performances of tragedies. There are profound religious understandings exemplified in the tragedies such as piety and right action. 2 processions were conducted to begin the festival. The first, carrying the statue of Dionysus to and from, and the second where various groups proceeded through the city to the theater, arrayed in groups distinguishable by color or other articles of dress, according to Rabinowitz. The ceremonies started at dawn in the outdoor theater, with purification and lustrations, followed by a dithyramb, and then the plays. 3 tbsp honey (tip: use this one. Preheat oven to 200oC/ 400oF/ Gas Mark 6. Season chicken with salt and pepper and place on a rimmed baking sheet. Bake in the oven for 20 minutes. While the chicken is in the oven combine all other ingredients in a bowl and mix thoroughly. Remove chicken from the oven and place each piece in the bowl with the sauce. Drain any fat that is on the baking sheet into the bowl with the sauce. Toss to coat thoroughly. Place chicken, skin side down, on the baking sheet and return to oven. Turn oven to broil and broil for 5 minutes. Remove chicken from the oven and turn to skin side up. Using a rubber spatula, coat the chicken skin with any remaining sauce. Broil for another 5 minutes. Serve with some roast potatoes. In the midst of all the confusion we’ve been thrown into regarding the economic crisis there are too few voices that can explain plainly but accurately what is going on. One of them is Marshall Auerback in the speech he delivered in a seminar in Rimini, Italy a year ago. He explains why Europe is in such monetary trouble today – shows that there is an alternative and that the enforced austerity for the 99% and vast wealth grab by the 1% is not a force of nature. You’ll probably need to fast forward to 1.44 as the introduction is in Italian. 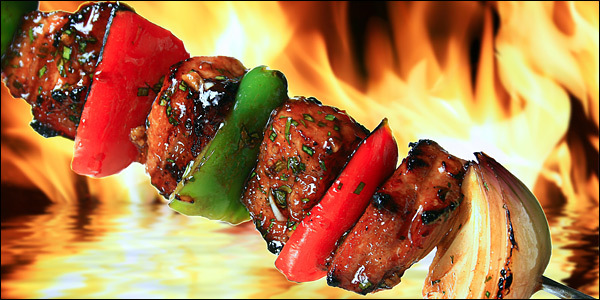 Tsiknopempti is the Thursday during Carnival or the “Greek Mardi Gras” period which marks the beginning of the last weekend that observant Greek Orthodox Church members can “legally” eat meat. Because of this, everyone rushes to prepare and enjoy their favorite meat dishes, creating a cloud of smoke where it is being cooked. This gives Tsiknopempti one of its other common names, “Smoke Thursday” or “Smoked Thursday”. It is also called “Barbecue Thursday” or “Grilled Thursday” by some. It’s a popular day for going out to eat and enjoying as many different meats as possible. It can also be called, as a joke, “Feast of the Carnivores”. You can read more about this special day here. Since I work till late (like every Thursday for the past 20 years or so) I’ll be celebrating my carnivore instincts in this little taverna here. If you happen to be in Athens, this culinary joint comes highly recommended. Visit Rethymno, Kozani, Lesvos or Tyrnavos in Larissa to get the feel of the Ancient Greek Carnival. A while ago I wrote about the effects of fuel tax in Greece and the environmental catastrophe that entailed. Now a more morbid reality emerges as in their attempt to keep warm people resort to old-fashioned methods that are clearly dangerous. In one case, 3 children aged 5, 7 and 15 lost their lives from smoke inhalation. Two days ago 2 students died of the same reason. Last year an elderly person committed suicide in Syntagma Square protesting against the austerity imposed by the IMF, EU and the Greek government alike. Greece that prided itself on one of the lowest suicide rates in the world is unable to do so anymore. However, the point I want to make here is different. While no one denies the devastating effect of austerity policies on the weakest members of the society, the Greek opinion makers have unleashed an unprecedented and systematic attack on the victims. Yes, even on the deceased. The dead students clearly have nobody but themselves to blame for not paying attention in physics at school, suicide victims suffer from mental disorders (therefore they would have killed themselves anyway) and protesters are communists seeking to establish a corrupt regime (assuming the existing regime is not corrupt enough). The same people turn a blind eye to police practices such as torture and kidnapping. The media refrain from referring to such incidents and when they feel compelled to do so (cause the *bloody* social media won’t keep quiet) they refer to them as “isolated” despite their very frequent occurrence. I could go on and on giving examples of the fierce way the establishment in Greece has (successfully, I have to admit) tried to protect its own. Instead, I will treat you to the country’s most typical dish, souvlaki, since I suspect it’s the only Greek invention left worth mentioning. Parboil zucchini in salted water for 1’ and drain. Rinse immediately with cold water to retain color. Cut pork in 1cm cubes. 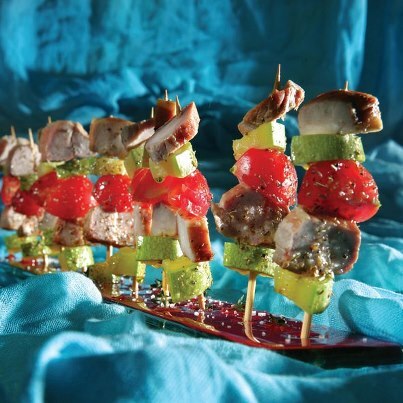 Alternately thread onto each skewer 2 pieces of pork, 2 cubes of zucchini and half a tomato. Arrange souvlakia in a tray, drizzle with olive oil, season and sprinkle with thyme. 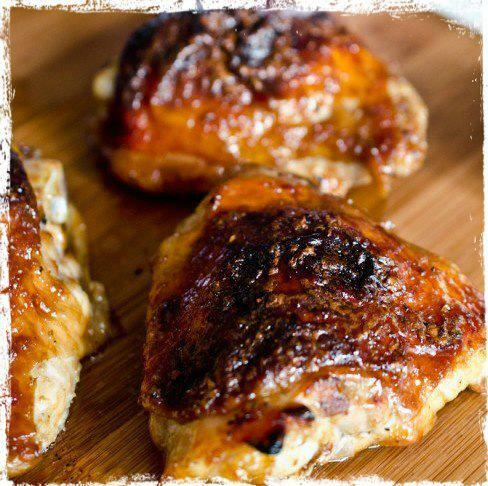 Allow to marinate for 20’, grill for 1’ and serve as finger food to friends and family.